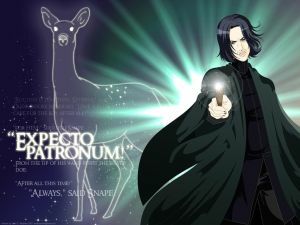 August | 2011 | Expecto Patronum! I’ll have more to say about Pottermore a little bit later, but for now, I just thought I’d talk briefly about the Friends system. We can have Friends on Pottermore. We can duel each other. We can send each other gifts. But we can’t actually write to each other within Pottermore. This is supposed to be to keep children safe. This makes it a little difficult to tell who is friending you. I have a list of Friend requests, and at the moment, I have no idea who many of them are from. So I’m setting up a little system here that will make it easy for people to Friend me – and do it privately. The really good news is that the floodgates do seem to be opening. A lot of my friends have gained access in the past couple of days. Some people are gaining access before they receive an email. Current numbers in the Great Hall at Pottermore are: 86,731 students. At this rate, we may get in 10% of Beta testers by the start of next week. And Pottermore says it will continue to increase the numbers over the next week. Hope to see everyone inside Pottermore soon! ETA2: I have sent out friend requests to everybody who gave me a complete username. If you just gave me the words and not the numbers, I was unable to send a request. Merlin’s Pants! 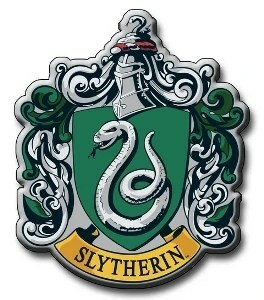 I’m a Slytherin! So…… I’ve been playing on Pottermore since this morning. I have collected all sorts of stuff, read JKR’s additional content (all of it delightful), acquired a wand (Maple wood, unicorn tail hair, 10 3/4 inches, slightly springy), and finally gotten sorted. Anyway, I did my best to give the Hat my honest answers. And trust me, it’s fairly impossible to tell exactly which questions are going to put you into which House. 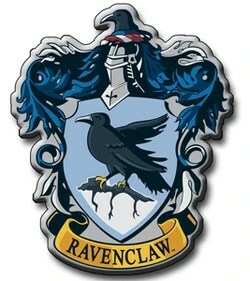 My first response (an honest one) was clearly moving in the direction of Ravenclaw. But after that, the questions became increasingly murky. All I can say is that – after reading the House History – the outcome was rather a pleasant surprise! Even though I’m not particularly cut-throat, I am a fairly ambitious high-achiever. And now it looks like I am destined for greatness! The title of this post is not a fluke. Merlin was a Slytherin. So… where are you hoping to get sorted on Pottermore? I’VE GOT ONE OF THEM!!! In the Comments to yesterday’s post, one topic of conversation has been Pottermore’s communication issues. We know that waiting can be frustrating but the good news is that, as the Beta progresses, we’ll be increasing the number of emails we send out at any one time. Beta phases are fluid and it’s important to watch and see how a site reacts to increasing amounts of users and activity. Every time more people are added to Pottermore, we take a pause and look at how the site is responding to see if everything is working as we expect it to and whether we need to make changes before we let more people into Pottermore. We are planning on giving more people early access over the next week or so and then we will pause sending Welcome emails for a while so that we can see how things are going. Unfortunately, we can’t create a schedule to share, as we need to respond to what we learn with each group of new users. That’s also why there are gaps between the batches of Welcome emails; it all depends on what we’re learning from those who are currently on the site. We always announce on the Insider and @Pottermore when Welcome emails are sent out, but sometimes these can take a while to arrive in your inbox, so you might get yours after the announced time. It’s always best to wait for your email to arrive before you try to log in. The Magical Quill campaign identified who would have access to the Beta. 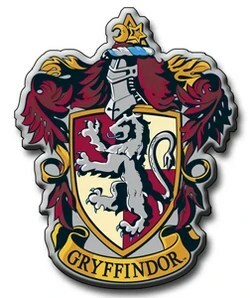 Everyone who found the Magical Quill will get the chance to give us their feedback on Pottermore. It appears that Pottermore has already started increasing numbers in the Beta. According to MerryLore (a credible source who comments on this blog), Pottermore enrollment has increased to nearly 47,000 students. Just one or two days ago, the number was about 32,000. I think the latest increase means that we can now expect email batches of at least 15,000 rather than the earlier 5,000. Pottermore’s latest communication does clarify matters a bit. What I find curious, though, is that the Pottermore communications team waited until they had a burgeoning PR crisis on their hands before playing a bit of defense and trying to deflect criticisms and rumors (criticisms and rumors, I might add, that would never have spread so widely and rapidly if Pottermore had simply been communicating clearly and proactively all along with both the Beta testers inside Pottermore and those outside waiting to gain entry). When I edited a business magazine, one thing I learned is that companies need to be proactive rather than reactive in their communication. Pottermore has finally reacted. That reaction is not ever going to be set side-by-side with Tylenol in the annals of outstanding crisis management response strategies. But at least it’s something. UPDATE: More Welcome emails are being sent out today (Thursday 25 August), from approximately 2:45pm (BST). This is great news because it is starting to look as if Pottermore is confident in yesterday’s fixes to the site. Also, if you notice, the 15-second countdown has not made a reappearance on Pottermore.com. My working assumption is that if the good news continues – i.e., if the new batch of testers doesn’t crash the site – then Pottermore will start letting in larger numbers soon. In fact, it’s possible that this new batch is the beginning of the larger numbers.